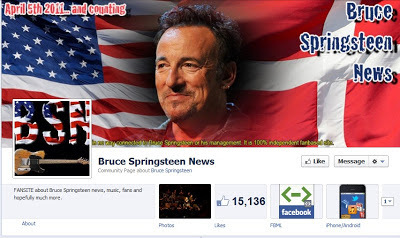 Over the past week, Bohemia has found a spot on the Bruce Springsteen News Facebook page, one of the largest and most prominent news pages for Bruce Springsteen & the E Street Band. Based in Denmark and boasting over 15,000 fans, the page recently discussed Bohemia's relation to Springsteen's hometown, Asbury Park, the New Jersey music scene, and how the story can help those afflicted by the damage of Hurricane Sandy. Similarly, the Romanian fan base of fellow New Jersey natives, Bon Jovi, have also fondly referenced the book, deeming it an "interesting read". Bohemia is available worldwide on Amazon in both paperback and Kindle formats. Check your local bookstore or Amazon site to get your copy of Carnaby's acclaimed novel today!